"THE LITTLE HAMPTONS" : New!! 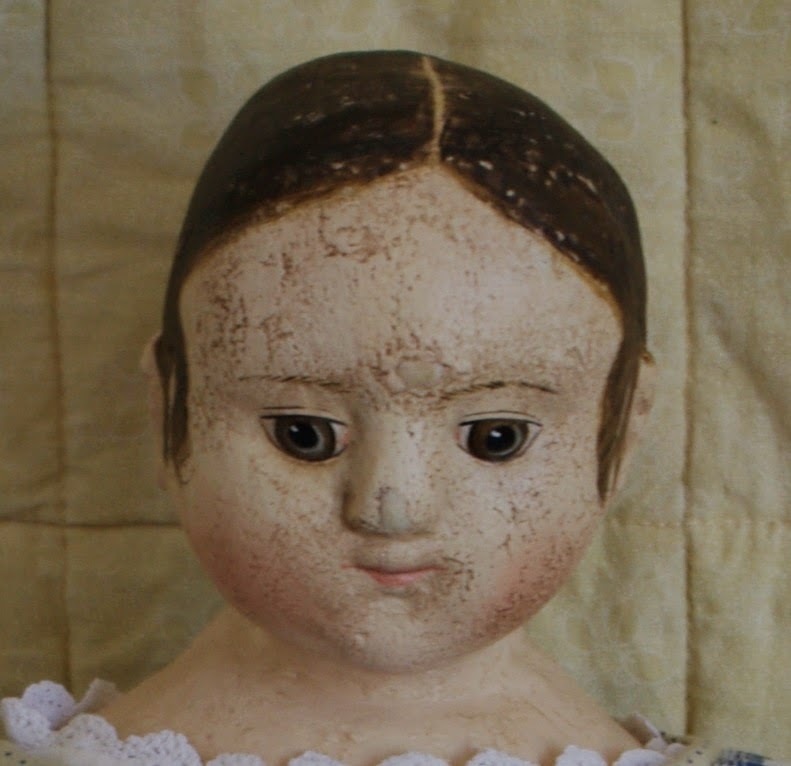 The Little Hamptons, Izannah Walker Reproduction doll of the antique "Patience"
New!! The Little Hamptons, Izannah Walker Reproduction doll of the antique "Patience"
Just finished today, one of my Izannah Walker reproductions of sweet Patience. I think out of all the 3 different reproductions that I create, Patience is the most "Little Girl-like". She is also the most aged of the 3, but still ever so loveable. She is about 17 1/2" tall and comes with her hand and machine sewn outfit made mostly from antique fabrics. Her bloomers and petticoat are made from antique clothing. All the pieces have vintage glass or shell buttons and hand stitched button holes and loops. If you have any questions you can contact me via email, using the link on the right hand side of this page or buy her directly from my Etsy shop. I love this sweet little doll that you have made.